Thaddeus Wolfe's primary body of work -- the Assemblage series -- began as an exploration of mineral forms found in nature, and evolved into its own language with references to architecture and modern art. His signature glass techniques result in a rough texture and a form reminiscent of Brutalist architecture, in particular. 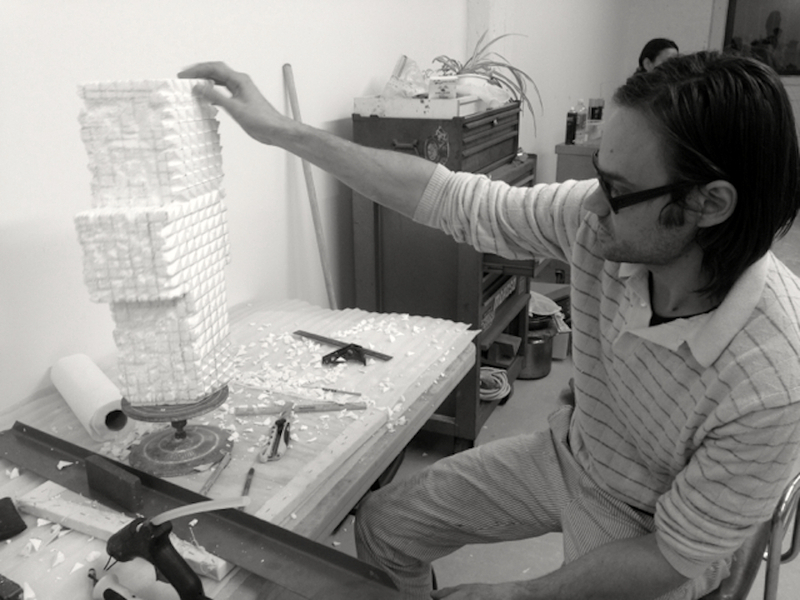 Many of Wolfe's pieces are created using a molding process; each single mold can only be used once. Wolfe layers color in his glass, then carves through the layers to reveal the stratum and interior color.